According to the National Highway Traffic Safety Administration (NHTSA), teens are more likely to take risks while driving. Teens have a higher likelihood of speeding –a contributing factor in 30 percent of all fatal crashes, and are less likely to use their seat belts than older drivers. Ford has a new innovation that helps to combat these issues and give parents peace of mind when handing over the keys to their teen driver. MyKey technology helps parents encourage their teen drivers to develop good driving habits, even when they are not present in the car. The MyKey system can limit a vehicle’s top speed and control the maximum volume of the radio. Other features of this innovative technology include encouraging teens to buckle up by keeping the Belt-Minder® from timing out and muting the radio until the seat belt is fastened. Another benefit of MyKey is fuel economy. The system chimes at 45, 55, and 65 mph. Ford research has shown that the 10 mph difference between driving 55 and 65 mph results in fuel savings of 15%. MyKey also provides early low-fuel warnings. Another study conducted by Ford found that two-thirds of teens would not be against the technology if it meant that they could use the car more often. MyKey, which uses a SecuriLock system that allows the car to identify which keys are in the ignition and which driving mode to enable, debuted on the 2010 Focus and now comes standard on almost all new Ford models. The All-new Ford C-Max, coming next year from Europe, will be Hybrid or plug in only. Ford , by making their own hybrid system, has brought the prices way down. Look out Chevy and Prius! Ford Motor Co., in a move to compete with hybrid and electric vehicles produced by Toyota, GM, and Nissan, said today that its upcoming C-Max compact minivan will be a hybrid only powertrain when U.S. sales begin next year. Ford has cancelled plans to offer a gas version of the C-Max. Ford said it has been able to reduce the cost of hybrid technology, which will make the vehicle more attractive to buyers. Ford announced this year that a plug-in hybrid C-Max also is planned. Today’s move will put the C-Max in competition with the Prius, Chevy Volt plug-in and Nissan’s all-electric Leaf. The C-Max is a seven-passenger minivan based on the Ford Focus. Ford said it expects the cost of hybrid systems it’s offering next year will be 30 percent less expensive than the system that was introduced on the 2010 Fusion. Ford said it will keep C-Max prices down because much of the hybrid system has been designed and engineered by Ford. The company also will assemble the system. In an April interview, Ford’s Sherif Marakby said, “When we first launched a hybrid six years ago, many customers were concerned” about the battery. Customers asked: “‘How long would the battery last?’ ‘How much does it cost to replace it? '” he said. But batteries have proven to be long-lasting, Marakby said. It’s now imperative to lower the cost of its hybrid system, he said, so Ford can cut hybrid prices and boost sales. “We’re seeing that the loyalty rate on hybrids is very high,” he said in April. “We just need people to get used to the technology, bring the cost down and the price down for consumers, and we believe it’s only going to go up in terms of sales volume.” Ford has been cutting costs by bringing many technologies in-house, such as the hybrid transmission. “By developing the hybrid system’s design in-house and sourcing individual components to suppliers, Ford can use less people and less time to get the job done in an efficient manner,” he said. Ford has also developed a battery system that will be manufactured at a suburban Detroit Ford plant next year. Marakby’s goal is to cut the cost of the next-generation Ford hybrid system another 30 percent. In 2010, Ford’s Western Regional Marketing Department launched Gimme the Gig featuring the all-new Fiesta. The program enticed independent musicians and bands to enter to win a recording session with Grammy Award-winning producer Don Was. The competition concluded with the final seven bands performing live in Los Angeles at the Whiskey A Go Go. The performance then aired for over 12,000 viewers online and on KTLA in over three million households. Including social media, Gimme the Gig earned more than 22.5 million impressions. Leveraging our previous successes and increasing the final award, the 2012 Focus will be centerstage in this year’s contest. Gimme the Gig II will have three winners and will feature an all-new Focus converted into a mobile mixing studio. Don will take the vehicle to various live performances around the Western US and use the Focus to highlight it’s many technology features. Final winners will be announced in early 2012. Gimme the Gig II will hit the road and live events will occur in major markets in the Western Market Area from June until September. Customers will be treated to live entertainment, free food, and an experience like no other! Gimme the Gig II has something for everyone. www.gimmethegig.com will be live on June 15th. Tell your friends! 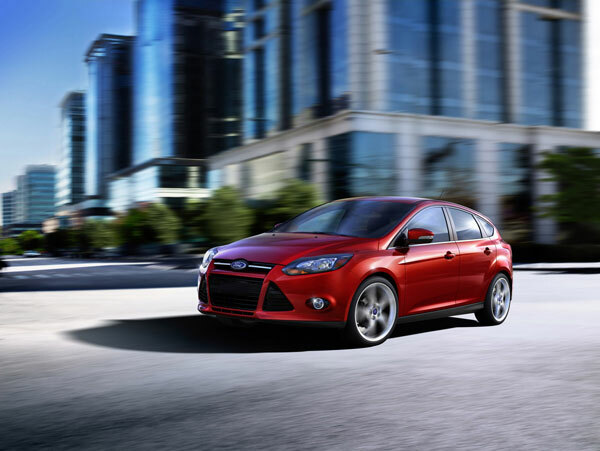 The 2012 Ford Focus has not been on the market for long, but that’s not stopping it from making headlines. 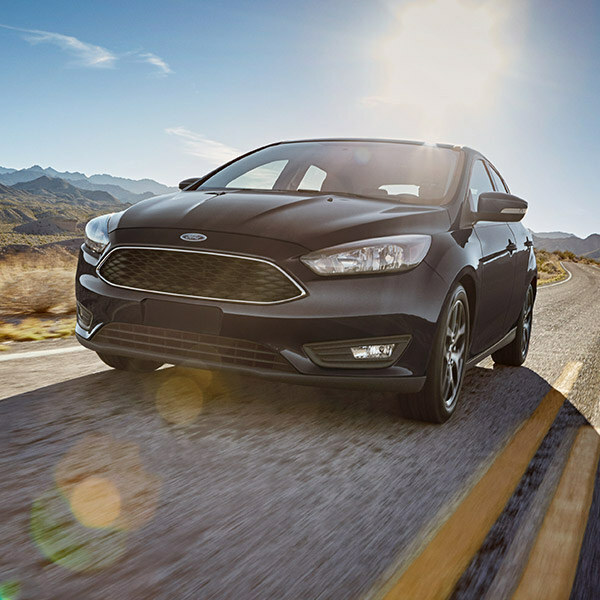 Most recently, the all-new Focus was named a Top Safety Pick by the Insurance Institute for Highway Safety. The compact also received a 5-star overall safety rating from the Euro NCAP. Both the IIHS and Euro NCAP independently test vehicle safety, and use their findings to present major safety awards and rankings. In the IIHS’ testing, the Focus received the best score of “good” all four tests conducted: frontal offset, side-impact, roof strength, and rear crash protection. The Focus also offers standard electronic stability control, a requirement for all vehicles to be designated a “Top Safety Pick.” The Euro NCAP releases its results differently, giving percentages for the different areas of protection a car offers. The 2012 Focus received a 92% in adult occupant safety, an 82% in child occupant safety, a 72% in pedestrian safety, and a 71% in safety assist; all leading to an overall 5-star rating.